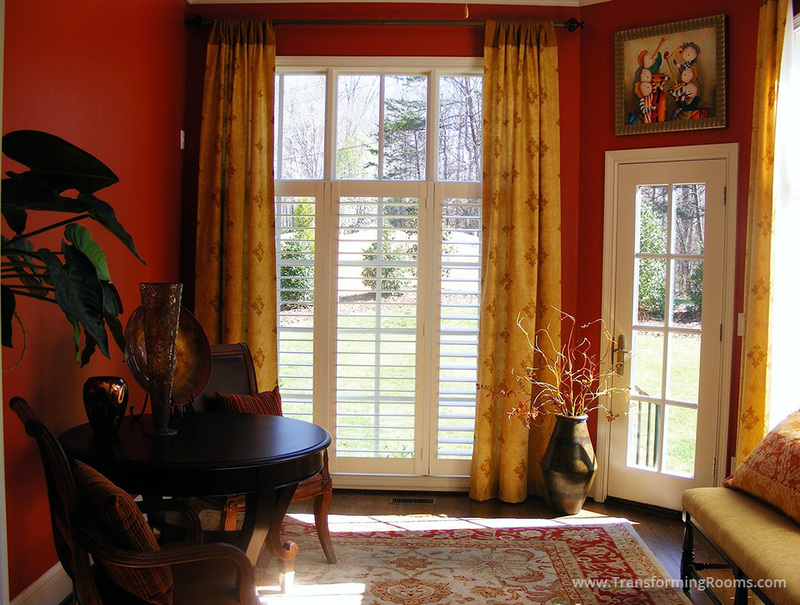 Stylish drapes on the window and colorful art truly update the look of a room! 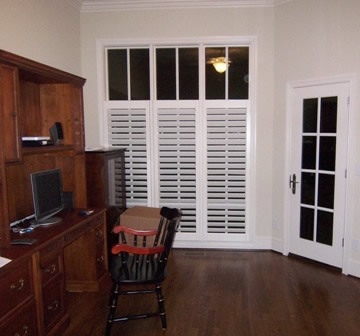 Our Grandover clients said they never used this room, but wanted a place for morning coffee. They now comment that they use the room every day! Our round table, comfortable leather chairs, plants, bench and pottery complete the look!